If you could spend a night of your vacation under the sea alongside beautiful fish, would you want to? Of course! But until mankind learns how to breathe through our non-existent gills, we’re forced to come up with a few more creative options. 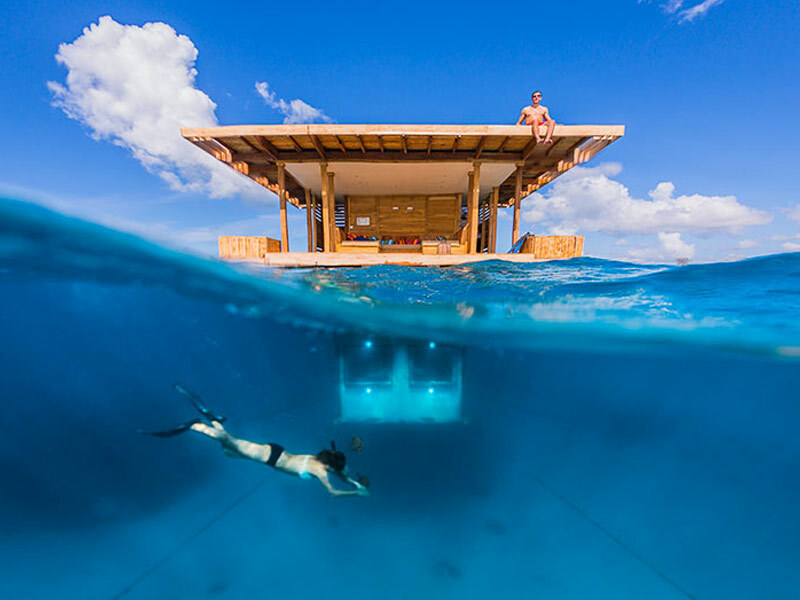 The Manta Resort in Zanzibar has come up with just such an idea. 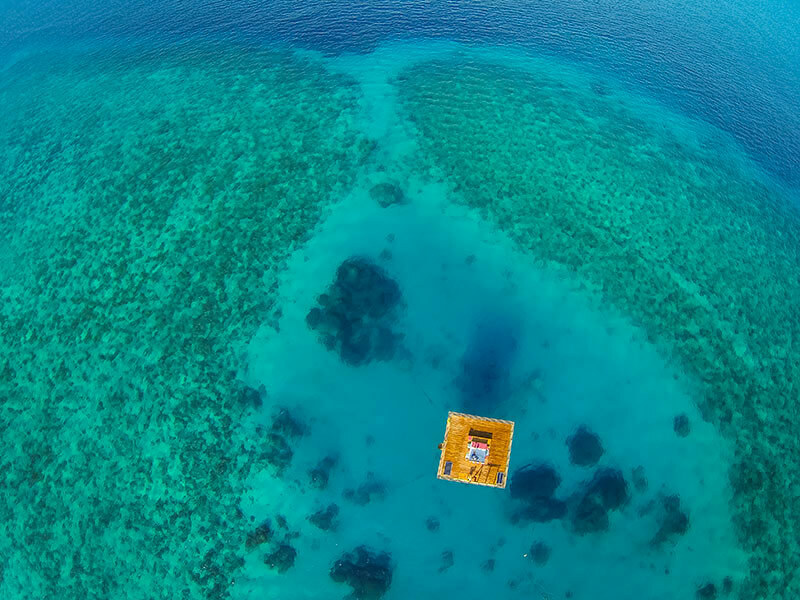 Its Underwater Room is the most luxurious way to spend time under the ocean, without actually putting on your scuba gear. 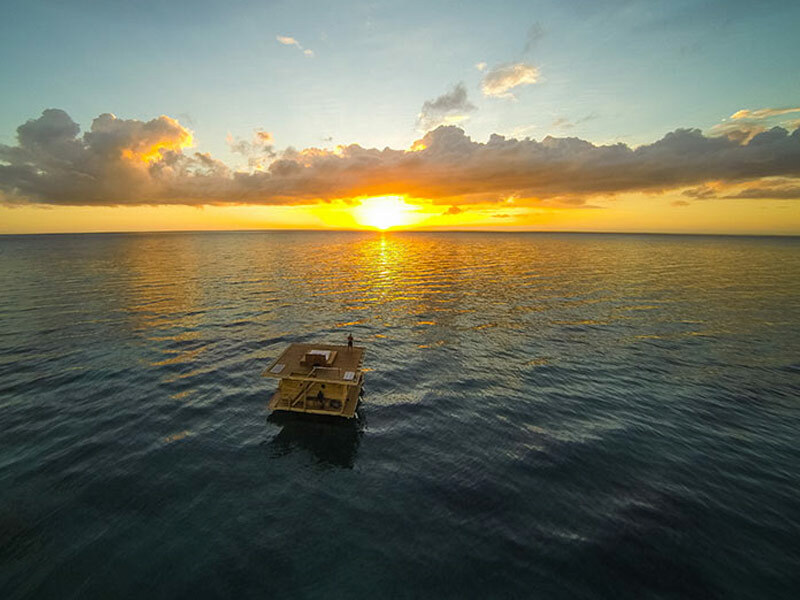 It sits just 250m from shore, floating alone in seclusion from the rest of the resort. 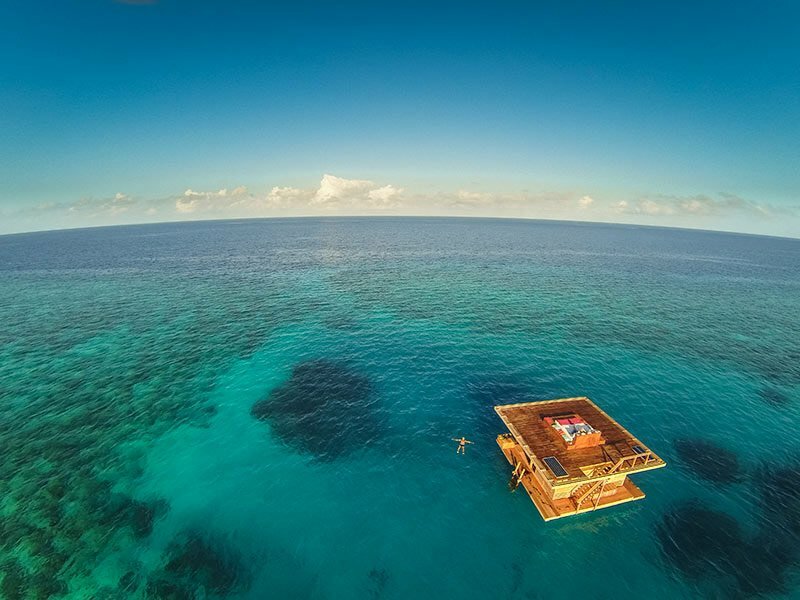 To get to this floating suite, visitors take a 2 minute boat ride from the shore. 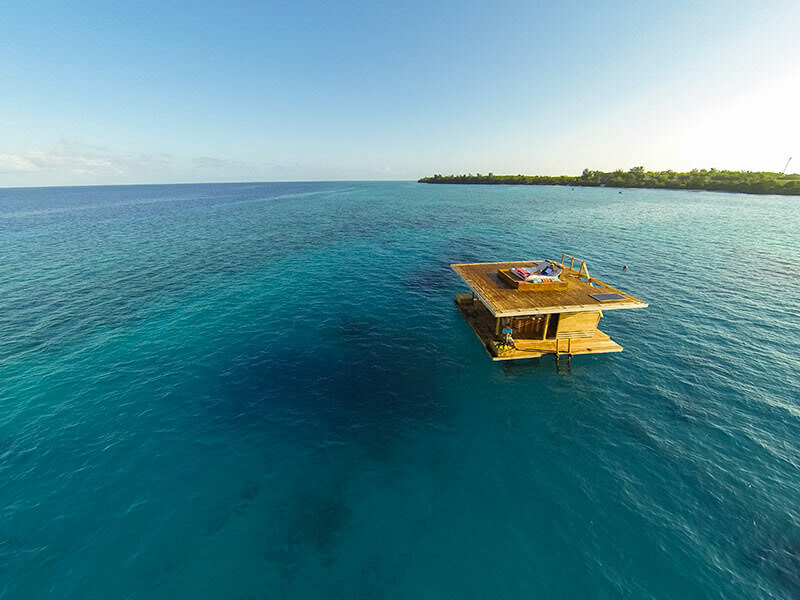 There they are welcomed with lunch upon arrival and are shown around this floating private getaway. You climb a ladder to the roof of the unit, relax and catch some rays on the rooftop bed. If you’re feeling really brave, you can take a dive into the deep from this point. When you’re ready for some shade, the landing deck at sea level has a comfortable lounge area. Equipped with a bathroom facility, it really has everything you’ll need. After the sun sets, you can step down into the downstairs section of the facility. As you lay on the double bed of your room you can gaze out onto an almost 360 degree view of the deep blue sea. 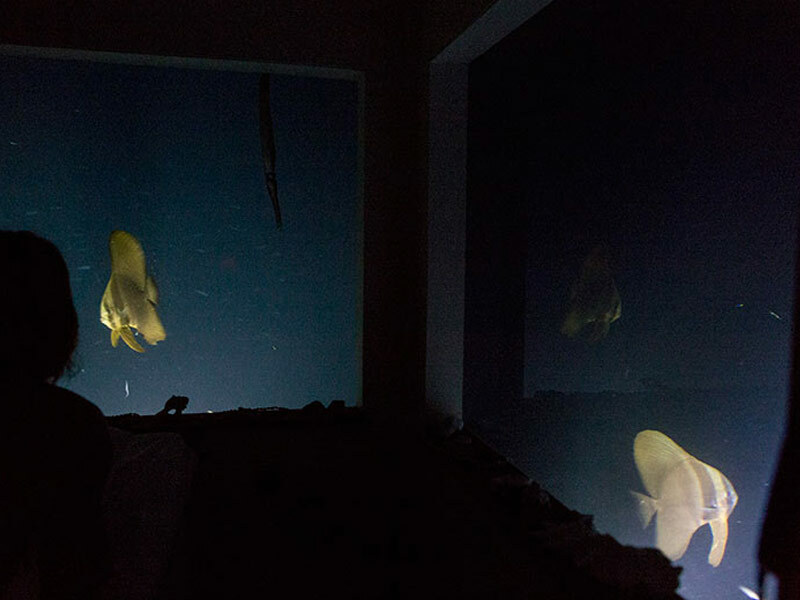 You’re likely to see bat fish, trumpet fish, octopus and more swimming outside the windows. The creatures are illuminated by the exterior spotlights for your viewing pleasure, and they also attract the more timid species. You will not be without things to keep entertained, as kayaks, snorkels and fins will be provided. The beautiful coral reef underneath the surface is ideal for snorkeling. Meals will be delivered to your room based on agreed upon times. 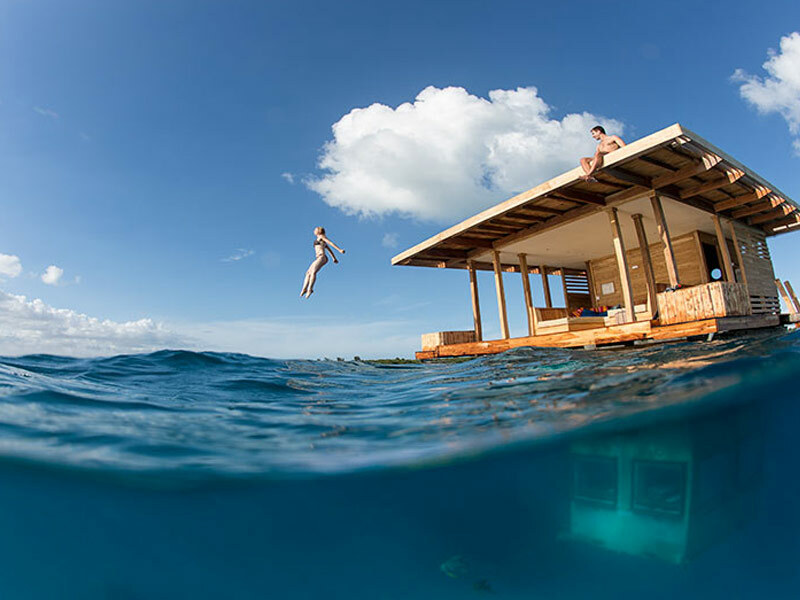 Discounts are available for honeymooners, and a night in the underwater room can be tacked on to almost any regular stay at the main resort. 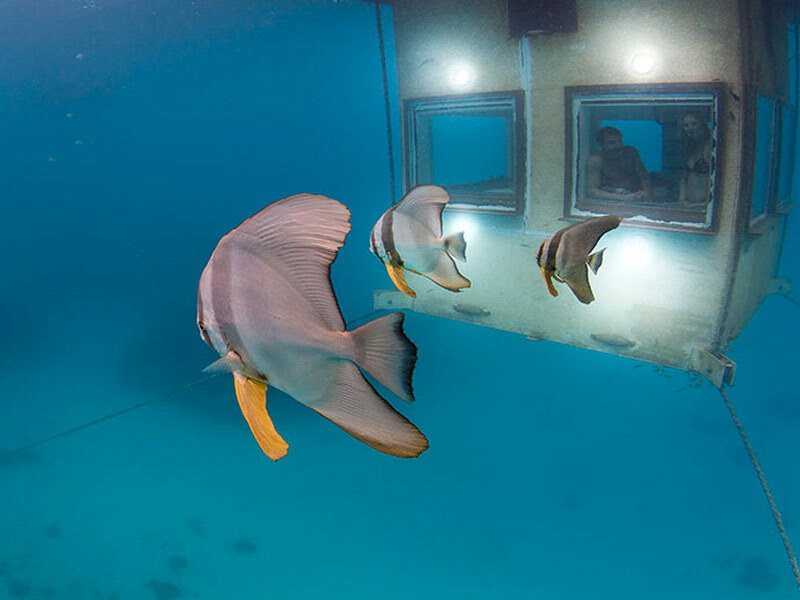 If you’re interested in checking a stay in The Underwater Room off your bucket list, or are curious what an experience like this runs, then click here for booking information.